Summerhill Lawns is long established as one of Ireland’s leading suppliers of highest quality turfgrass sod for any purpose, from domestic lawns to sports pitches and gardens. No matter what your need – turfgrass for your garden, grass for instant lawns, topsoil or bark mulch – use our services and be sure of a healthy, thriving beautiful lawn. We’ll always do our best to accommodate any specific turfgrass need, our delivery services are fast and our prices are highly competitive. 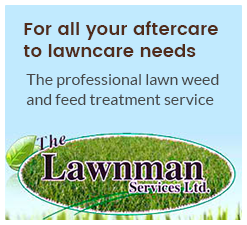 We’ll also be very happy to provide you with expert advice on any aspect of lawn and garden maintenance. so call us today: (046) 943 1015. Summerhill Lawns is Ireland’s finest roll out turfgrass grower, supplying Dublin and the whole of Ireland with premium quality instant roll-out lawns, topsoil, bark mulch and a complete range of related products. Our turfgrass is cultivated with care and cut fresh to instantly transform any area and create beautiful lush lawn for homes, gardens, parks, golf courses and sports pitches. An uncompromising attention to detail in both production methods and delivery has enabled us to dominate our competition in recent years. It also means we can assure you of incomparable quality of product and customer service. As well as the highest quality turfgrass for roll out lawns, Summerhill Lawns also provides bark mulch, top soil and complete lawn installation and Lawn Care services. Vibrant, natural beauty for homes, parks and gardens.